Kind of an arb post title for me, isn’t it? 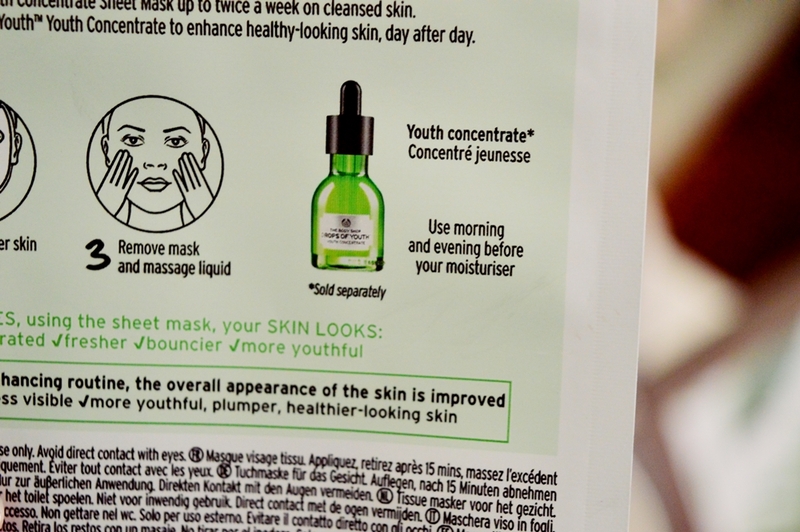 Well, the Drops of Youth Youth Concentrate Sheet Mask had the beauty world abuzz when we found out the price of it. The Drops of Youth Youth Concentrate Sheet Mask (that is seriously a name and a half) is an instant results, natural and fully biodegradable sheet mask. 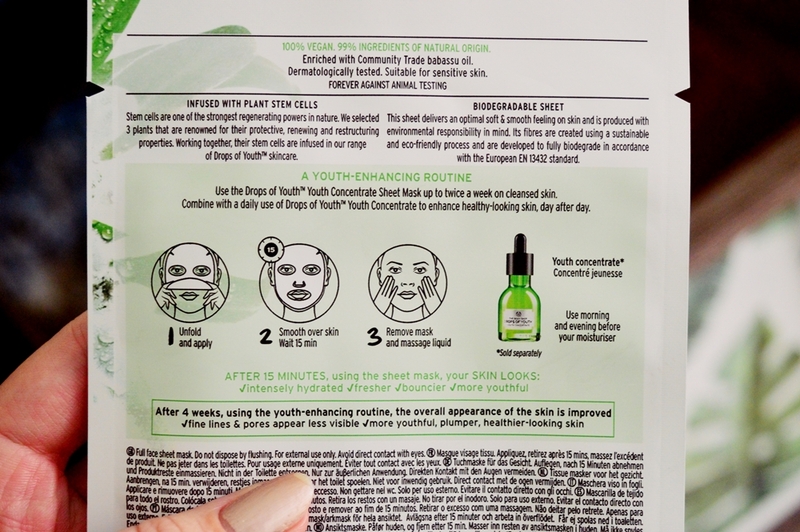 Infused with powerful ingredients including the beloved Drops of Youth Concentrate, the mask promises to have your skin looking bouncier, healthier and fresher in the advertised 15 minutes. Due to the fact that I am an avid lover of The Body Shop, I would be one to defend their price tags. However they are not viewed as a splurg-y store and brand. Instead they are incredibly affordable and usually have a great special or two on. Nevertheless, even I was shocked when I saw the R95 price tag. For a sheet mask? But then I read through the ingredients..
Namely, there is two quarters of a 30ml bottle of the Drops of Youth Concentrate in this one mask. Money-wise, if you work it out, that is R230 worth of concentrate in the mask. And that is in conjunction with a whole lot of other fab ingredients. For the record, the iconic Drops of Youth Concentrate is renowned for it’s rejuvenating qualities. So much so that one bottle is sold every 22 seconds world-wide. 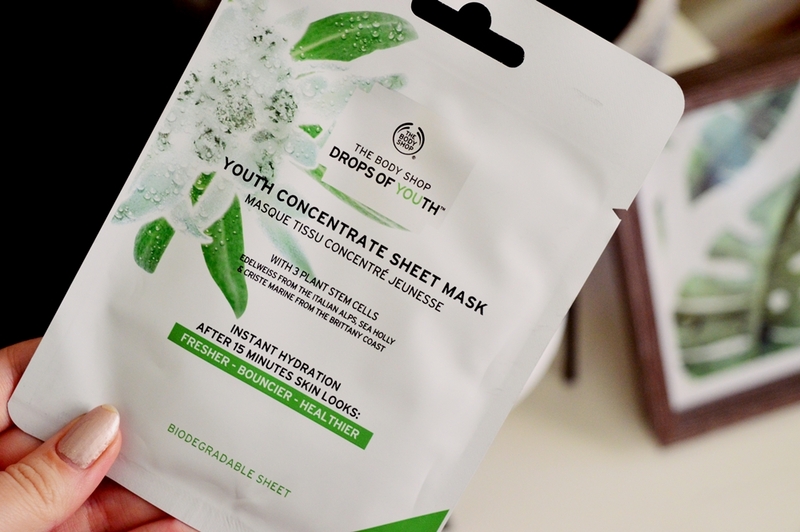 The Drops of Youth Youth Concentrate Sheet Mask visibly plumped up my skin as well as added hydration. So it certainly ticked all the promised boxes. Keeping in mind that this is a once off product – don’t expect youthful, perfectly plumped up skin for the next month – it does leave your skin looking healthy and more dewy for a good 48 hours. So while I won’t be purchasing bundles of these to use twice a week as advertised on the packaging, I will happily buy a few to keep stored away as “special occasions masks”. Then, the most amazing aspect of the mask. 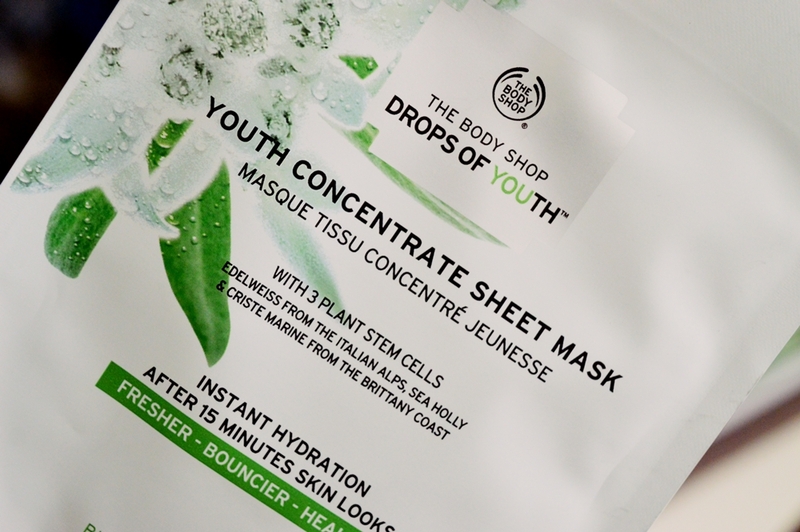 The Drops of Youth Youth Concentrate Sheet Mask is 100% vegan as well as fully biodegradable. This is the first of it’s kind that I have gotten my hands on! Essentially the mask is made up of a renewable wood, which is a sustainable alternative to usual mask makeups. You simply chuck the used mask in your compost bin at home – something you should have in your home by now. The Body Shop is currently on a 3-for-2 special in store as well as in Clicks. So if you nab the mask now you’ll only be paying R190 for 3! Let me know in the comments; have you used this mask? And if so, did you like it as much as I did?